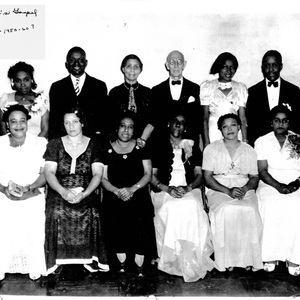 Photograph of Salem Gospel Choir, circa 1950 or 1960. 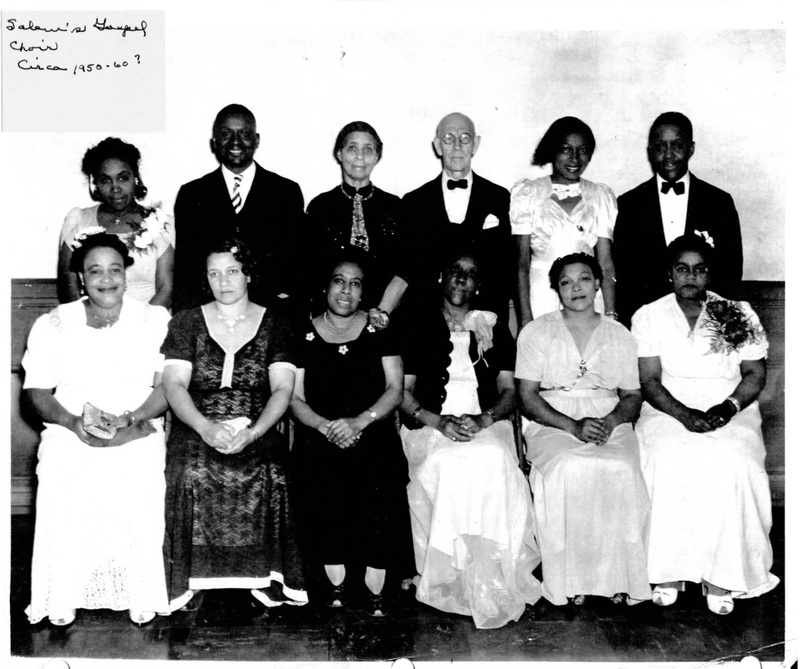 Photographed include: Willa Mae Pickens, Mr. T. Bowles, Mrs. L. Benton, Katie Harper, Lucille Clark, Helen Hite, Hattie Anderson, Mrs. L. Bowles and Roxie Steele. Not all individuals identified. If you recognize people in this photograph please send corrections to nlenstr2@illinois.edu. “Salem Gospel Choir,” eBlack Champaign-Urbana, accessed April 23, 2019, http://eblackcu.net/portal/items/show/184.